Planning for the future can seem like a daunting task, but it doesn’t have to be. If you’ve been putting off organizing your estate, Philadelphia trust attorney, Jeff First, can help you through the process. 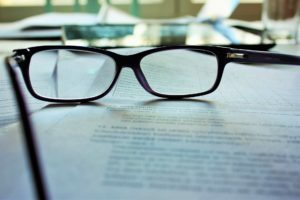 In this article, we’ll review how to choose the right type of estate planning for your situation and how a trust attorney can help. Is a Trust Right for my Estate? A trust can only dispense the assets that you’ve already put into it. If you don’t place your assets into the trust before your passing, it won’t be useful to your heirs. If you aren’t sure if you should use a will or a trust, call our Philadelphia trust attorneys at 215-307-3939 to learn about the pros and cons of each in your specific situation. How Can a Trust Attorney Help Me? A trust attorney can help you in the early stages of estate planning by drafting your trust document. Once your trust is established, they can manage it for you and make any changes you may want. When the time comes, a skilled trust attorney, like Philadelphia’s Jeff First can assist your trustees throughout the entire process. Trustee assistance includes everything from reviewing the specifics of their inheritance to filling out and filing their tax forms. Jeff First has the expertise and sensitivity required to provide legal counsel to clients throughout the estate planning process. Review our comprehensive list of services for more details. If you’d like to learn more about how we can help you, contact us today.